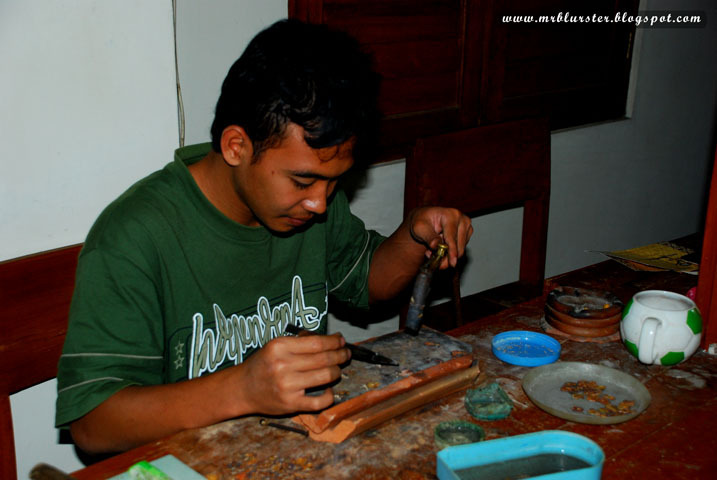 Soon after we our tour at Borobudur temple, we proceed to Kotagede which is the famous silverwork industry in Yogyakarta. You can see how the silversmith perform his magic by transforming the silver into one piece of art. 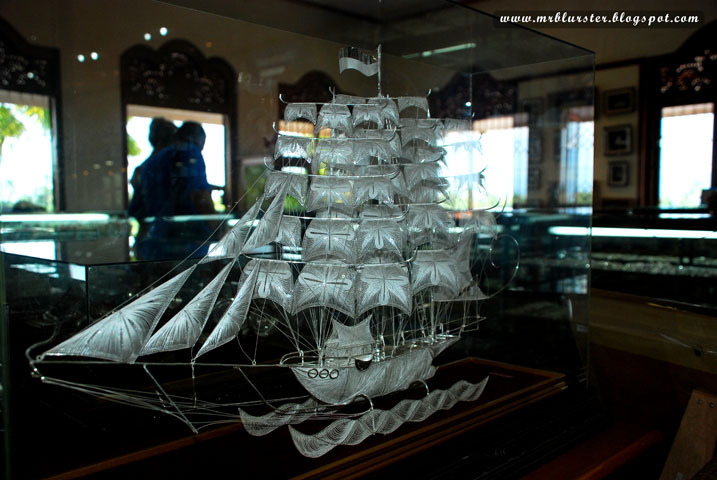 Lots of souvenirs which made by silver like the magnificent Borobudur temple and many more. I am not so keen on that because it is too expensive and yet too commercialize already. 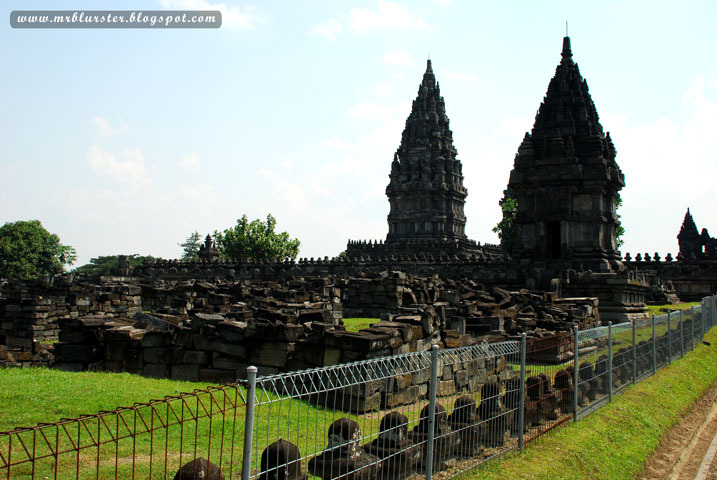 About 2pm, we reached at Prambanan temple after another long journey. Guess we are lucky that we did not go by ourself by motor because I guess we will definitely either lose our way in the middle of nowhere or sit until our buttock glue on the motor. 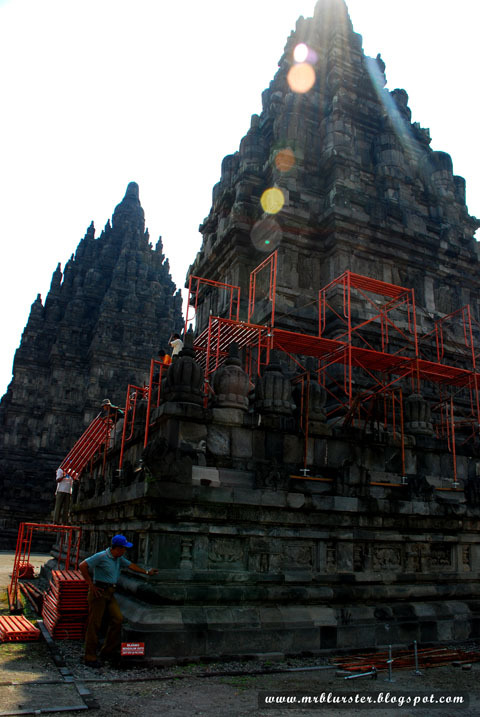 The entrance fee for entering the Prambanan temple is Rp85,000. Part of the destruction which are waiting to be restored. Hot sunny day when we were there. 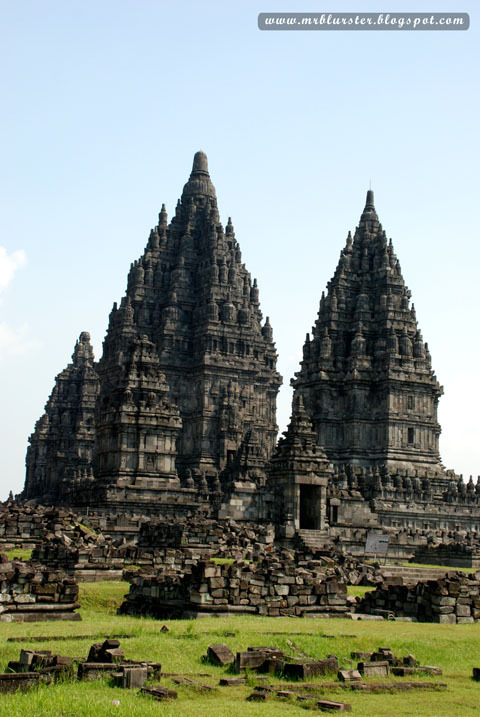 Prambanan temple is the biggest and most beautiful Hindu temple in Indonesia that derives its name from the village where it is located. 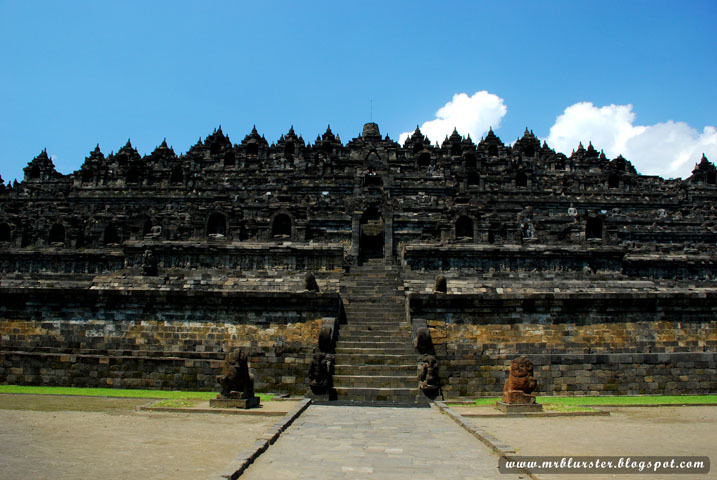 The temple is believed to be built in the middle of the ninth century and it reflect the famous story of Ramayana. 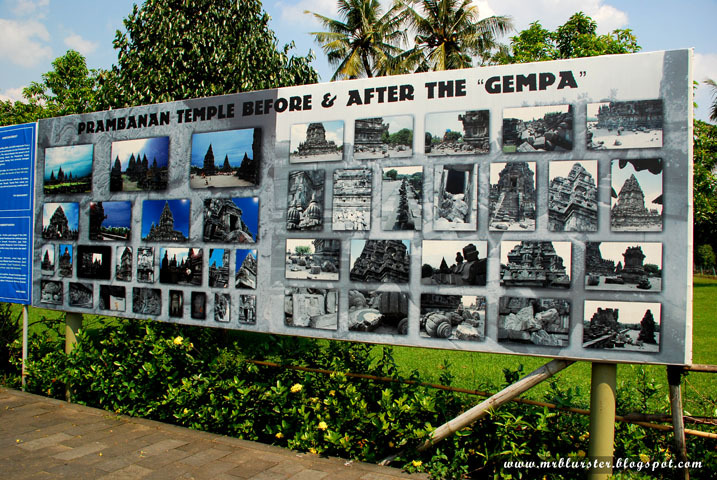 The earthquake in 2006 which is destroyed part of the temple. 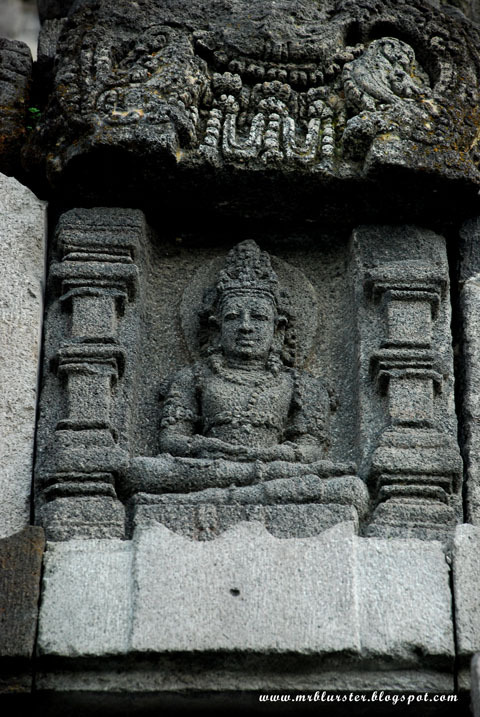 As a Hindu temple, the main temple has three shrines that dedicated to the Hindu trinity which are Shiva, Vishnu and Brahma. And each of these shrines is facing a smaller shrine for their vehicles. The cow Nandi is the vehicle of Shiva, the destroyer God. 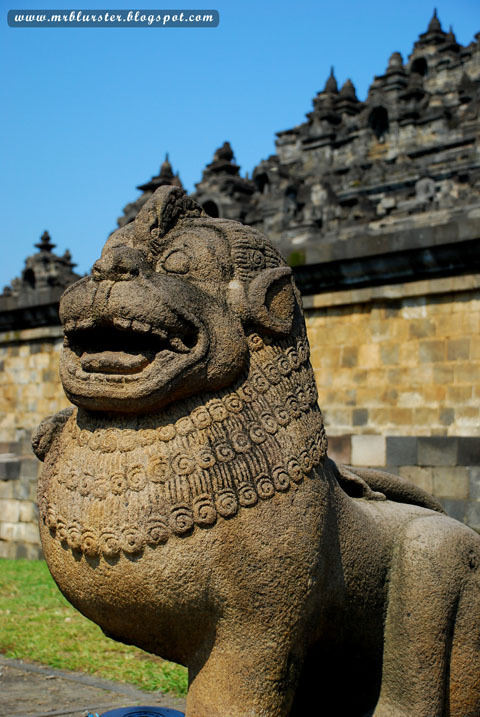 The eagle Garuda is vehicle of Vishnu, the guardian God. And finally, the swan Angsa is the vehicle of Brahma, the creator God. 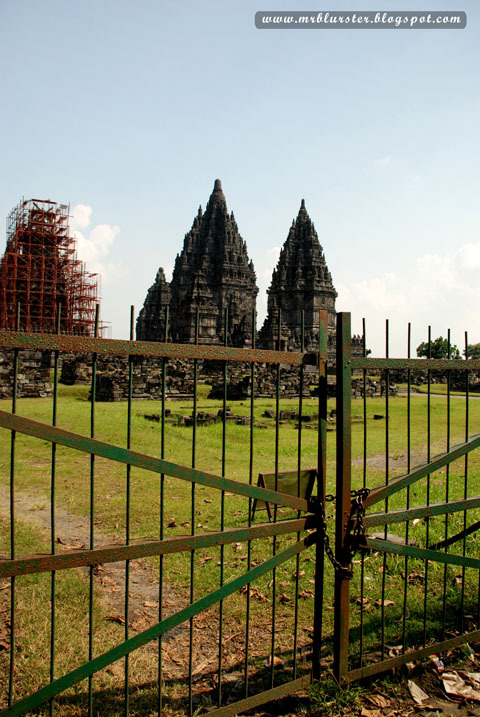 Prambanan temple behind the gate..
We are a bit disappointed because the temple was gated due to restoration of the temple which was destroyed the structure of the temple on the earthquake on 2006. Guess part of our money that we paid was paid for that cause. Although we can't walk inside the temple, the visibility of the destruction by the earthquake was just enough for us to reflect how lucky we are staying in Malaysia which is free from active volcano and earthquake. 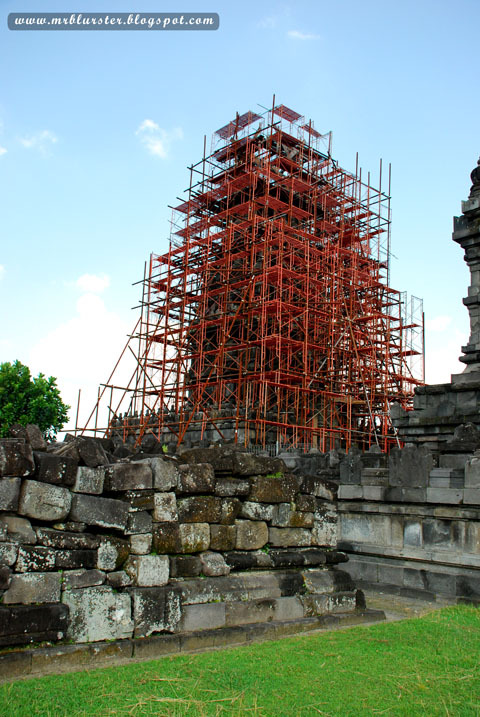 Still in re-building back the ancient temple. 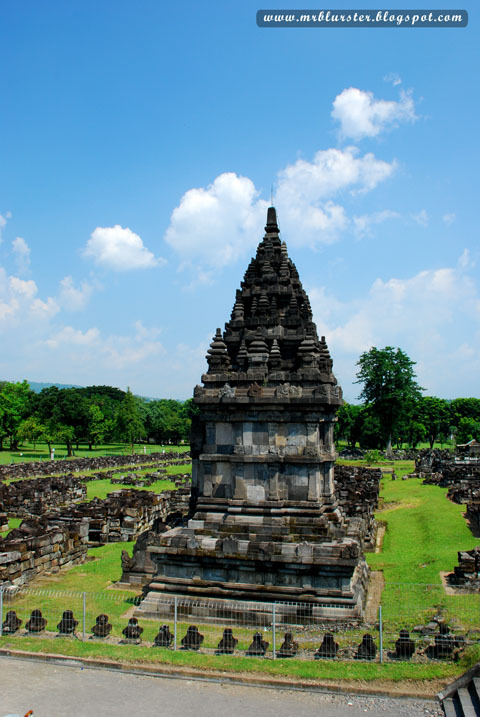 Under the superb hot sun, we walked around the temple and enjoy the beauty of the architecture. 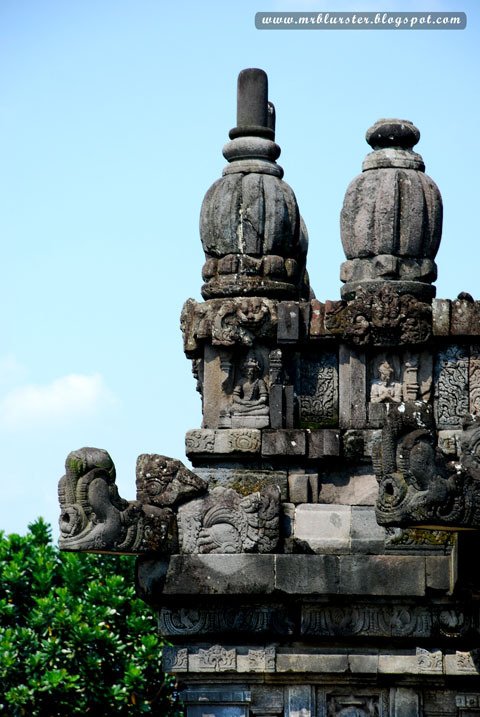 I feel the stone carving in Prambanan temple is better than in Borobudur temple. Really a waste that we can't go in and snap some photos. 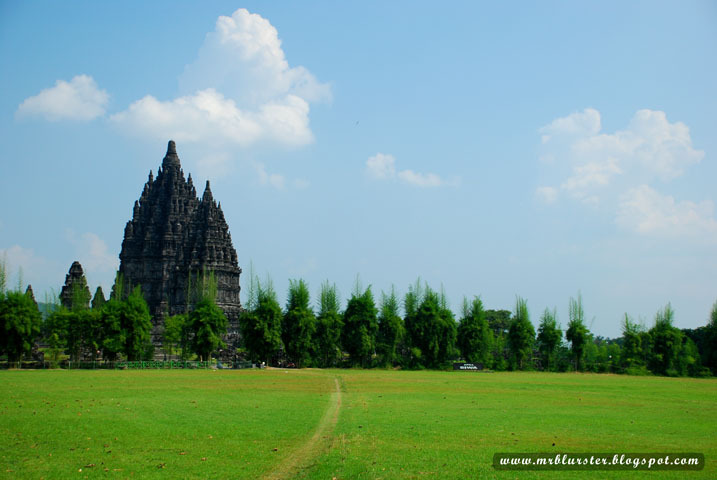 Prambanan from far before we call it a day. At Malioboro Street. Good place for shopping. 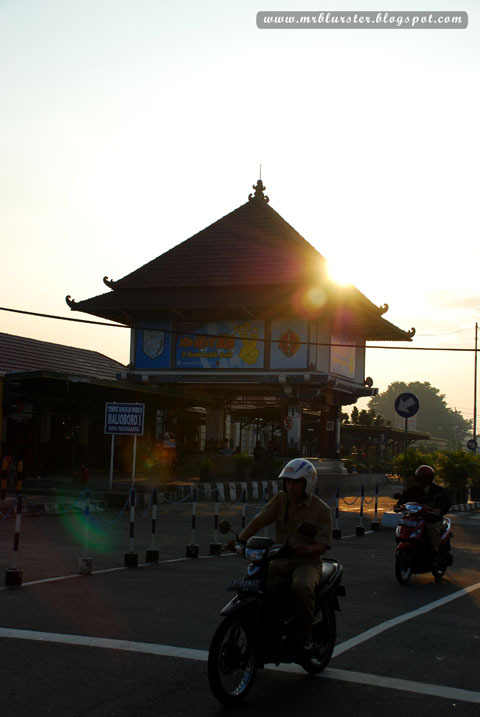 On the way to Kraton Castle where you can see lots of people along the heavy street. 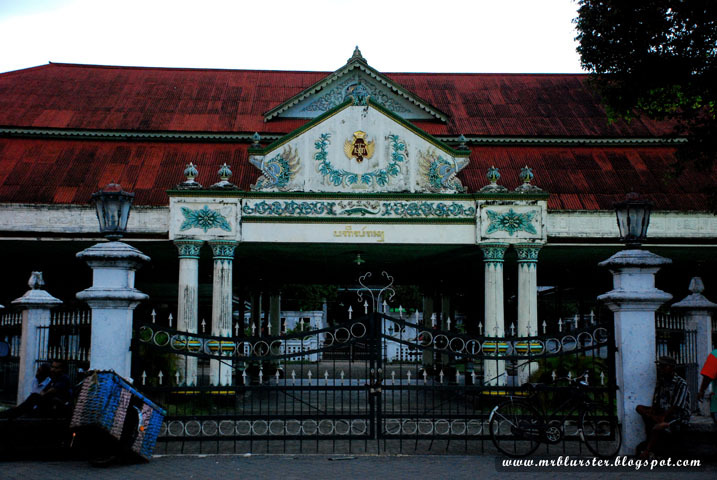 The entrance to Kraton Castle/Museum. Too bad we are late. Around 5pm, we are back to our hotel after exhausting tour under the hot sunny day. 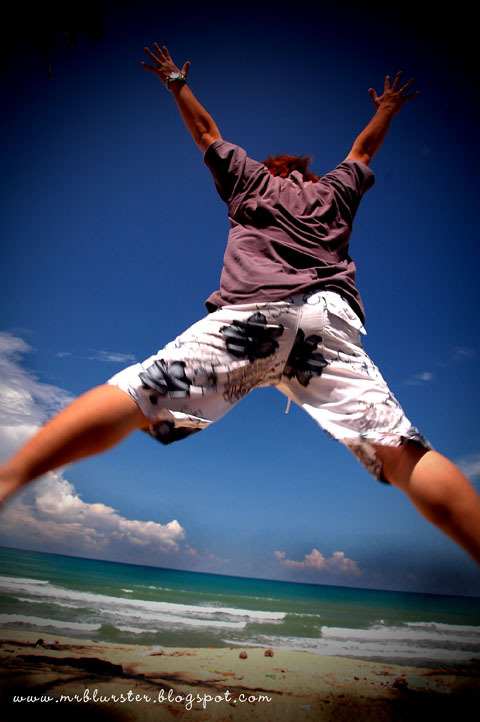 Really sweat a lots which will caused of dehydration if we do not drink more water. We rested a while and took bath before we went back to Malioboro Street again for our little dinner. Oh yeah I ate bakmi goreng with ayam kampung while my friend ate nasi gudeg (gudeg is prepared from jack fruit cooked with coconut milk, sambal goreng, a boiled leather buffalo with spices and chili peppers, and other dishes upon choice : boiled eggs, chickens, tofu and tempe). 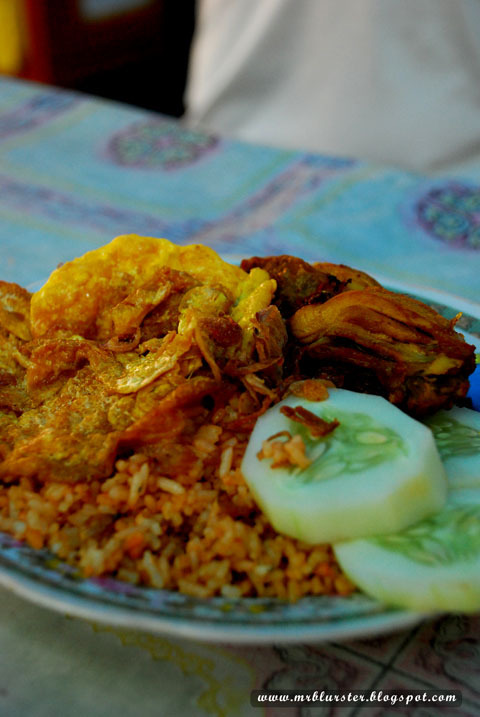 Nasi Gudeg which is nice if prefer food that are taste sweet. 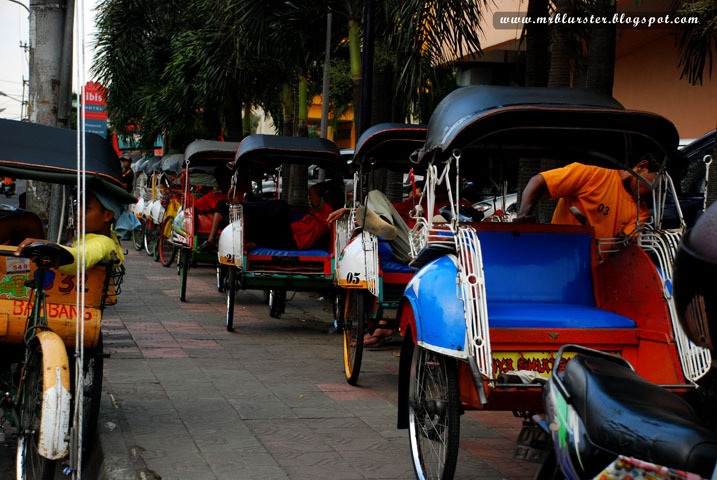 The people will constantly asked you whether if you need a ride on their trishaw to round the city. Some even sleep in the trishaw at night. For them, trishaw is a place of sleep and a tool to earn living. We walked from north to south of Malioboro street which is 2km long until we reach Kraton Castle which are still being used for official ceremony like wedding of the royalty. But too bad it is close because we are too late so instead we went some shopping for t shirt and belt at Malioboro street. 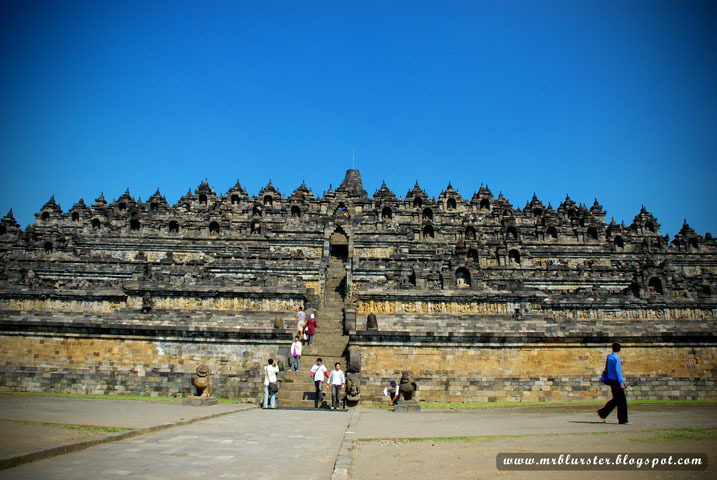 Our backpacking experience started on 15 April whereby Jogyakarta is our first destination. We reached Yogyakarta about 4pm local time after 3 hours flight from LCCT. The weather is nice enough when we touch down in Yogja together with my travel buddy, Donny who is from the same hometown like me. He is the ones who invite me to backpack with him to Java and without doubt I straight apply for leaves and go with him for 12 days adventure backpack experience. By 6pm, we managed to settle down at Hotel Trim II for Rp80,000 which is very close to Malioboro street. 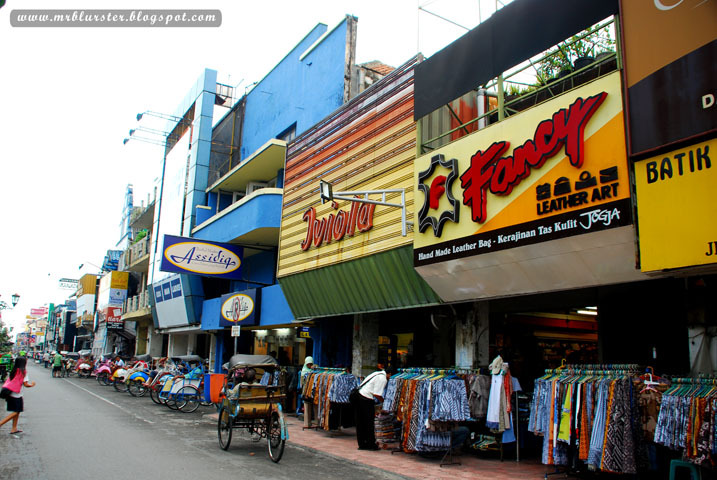 Malioboro street is very famous for shopping along the 1km street. 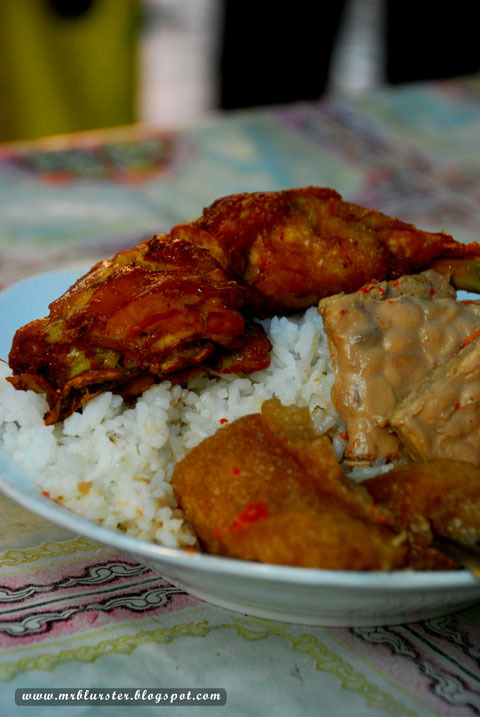 It is similiar to Chiang Mai which offer lots of varieties of traditional cuisines like soto, nasi gudeg, bakso and many mores. 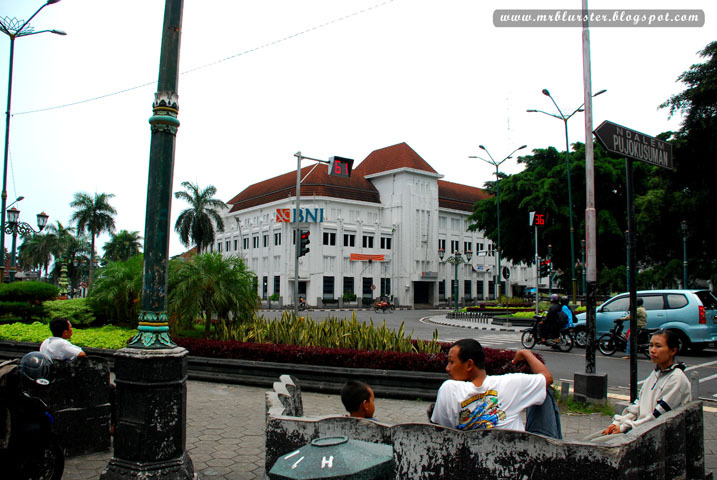 Opposite the food vendors, you can enjoy your shopping for handicraft, batik, t-shirt and more with your bargain skill. It is interesting spot for kaleidoscopic view of the city which also the hub of the city. 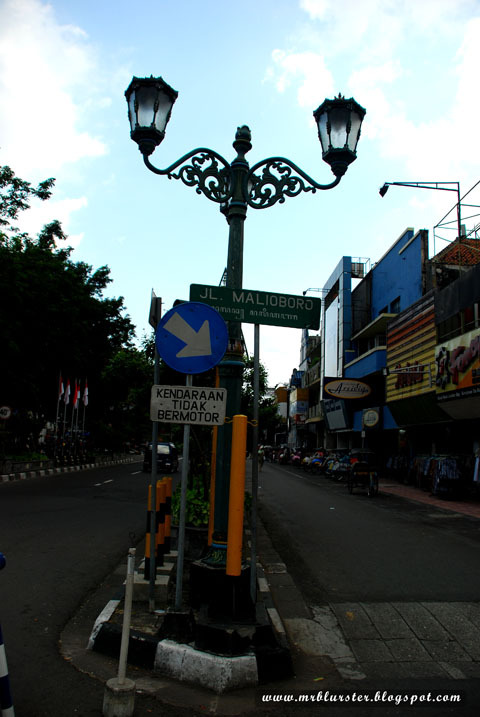 We did not spent much time at Malioboro street on the first day and by 10pm we already at hotel planning on our next day trip. 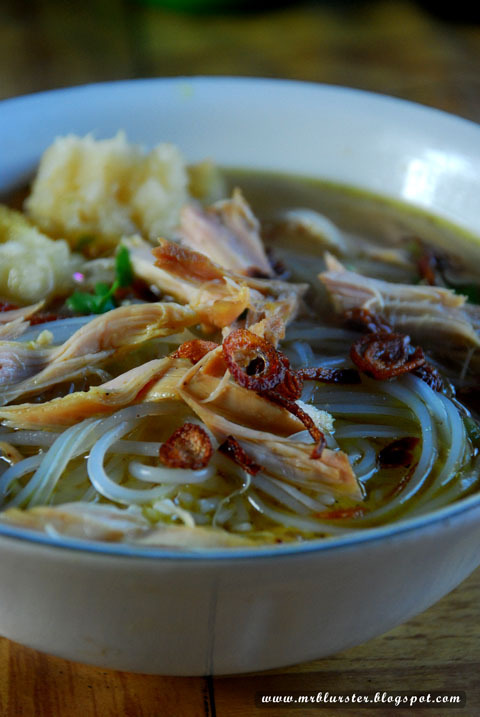 On the early next morning of 16 April, we went for our breakfast along the Malioboro Street and have soto which is nice. 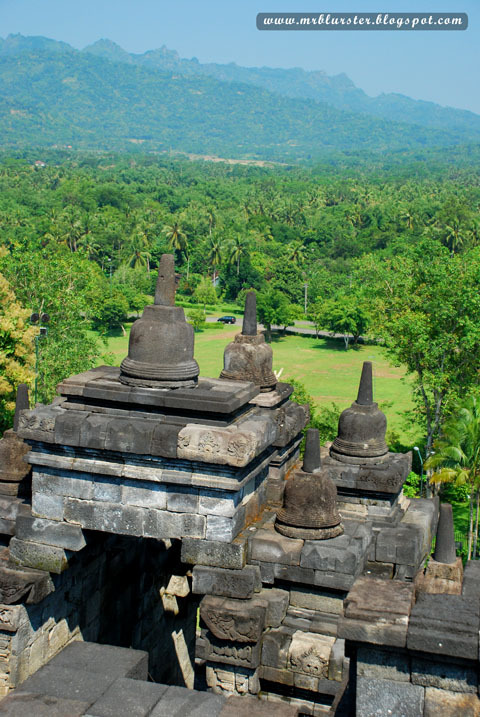 And then we source for some cheap package that will cover Borobudur temple and also Prambanan temple which are famous for its ancient and well preserved temple. 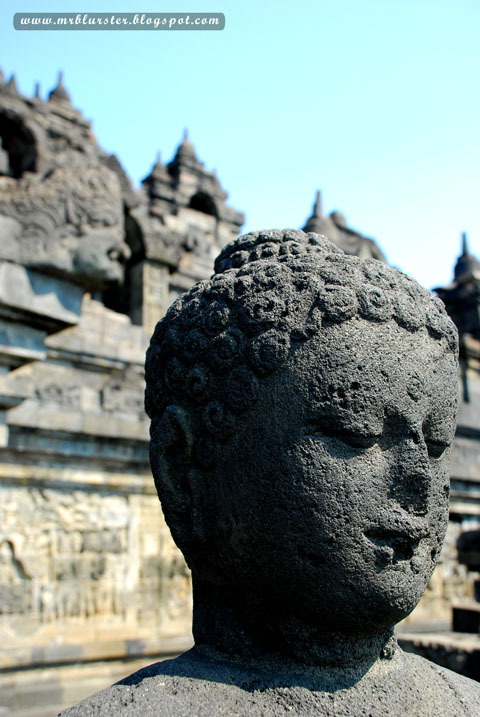 We managed to get cheap deal at Rp70,000 for trip to Borobudur, Prambanan and Kotagede which famous for silverwork in Yogya. 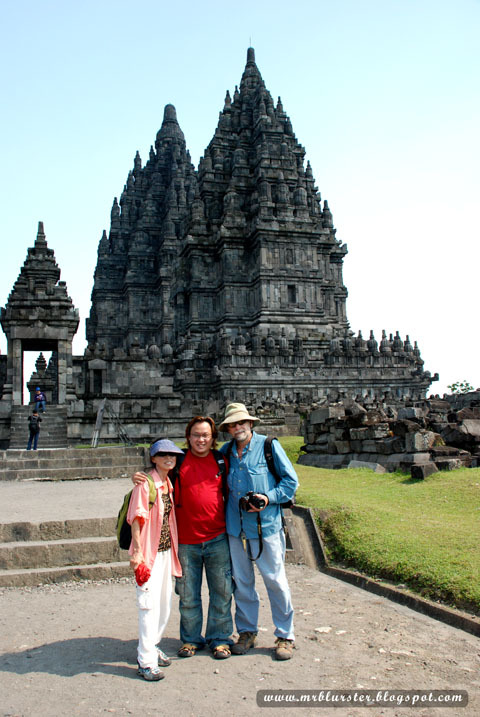 We join together with Robert and his wife from US and another couple from Belgium on the trip. 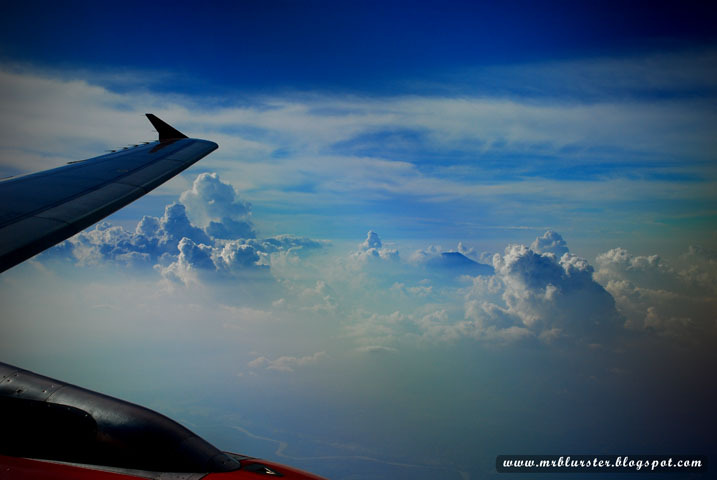 On the way to Borobudur temple, we passed by Merapi volcano which is one of the active volcano in Indonesia. The view is fantastic but too bad we cant stop for photo shooting because of heavy jam. 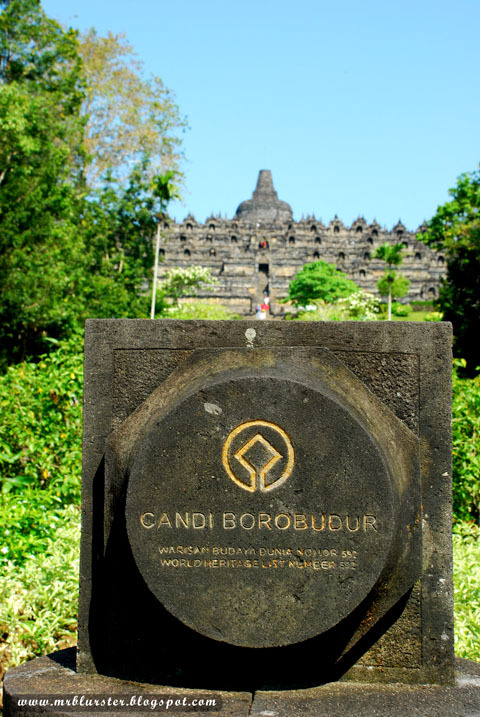 After 1.5 hours of journey in the van, we finally reach Borobudur temple. 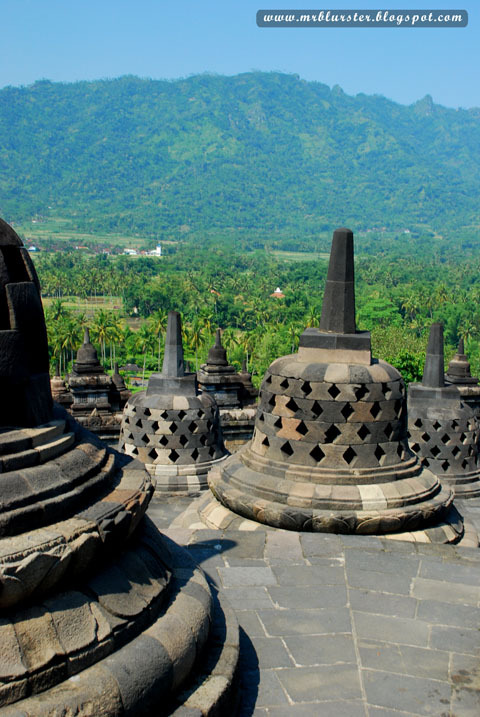 The entrance fee to Borobudur temple is Rp95,000/USD11. 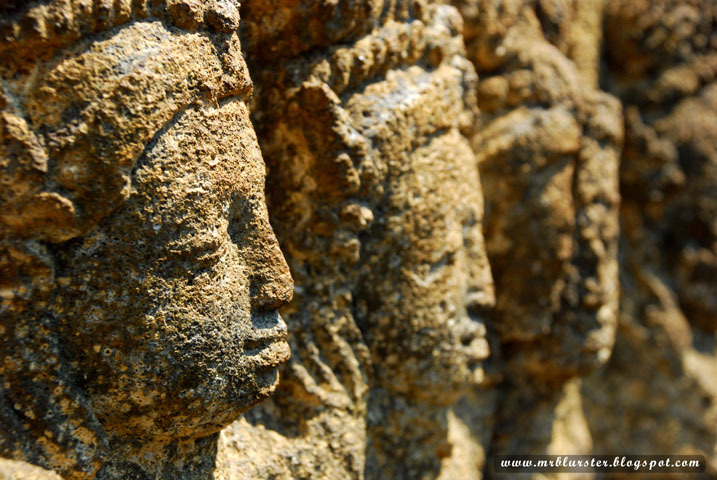 It was a great feeling to see such ancient and famous temple which is as famous as Angkor Wat in Cambodia. 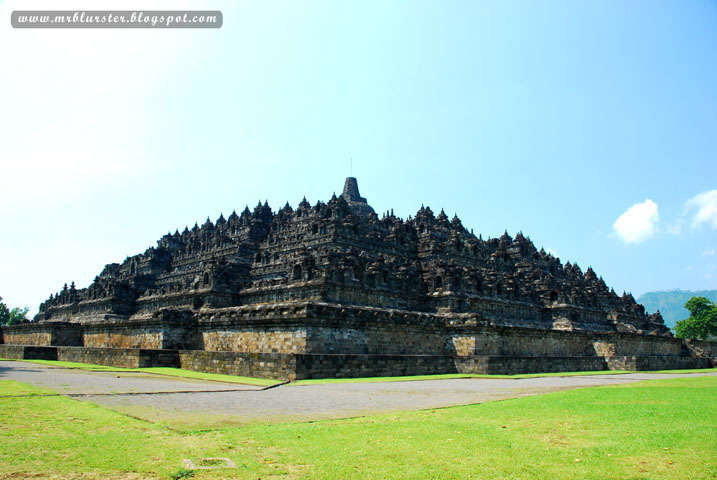 One of the world heritage that are still well preserved. 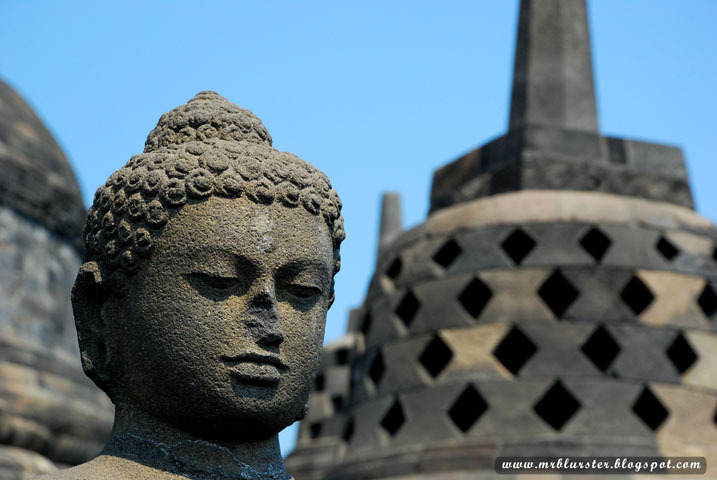 Borobudur is the greatest of all Buddhist temples in the globe and one of the wonders of the world. 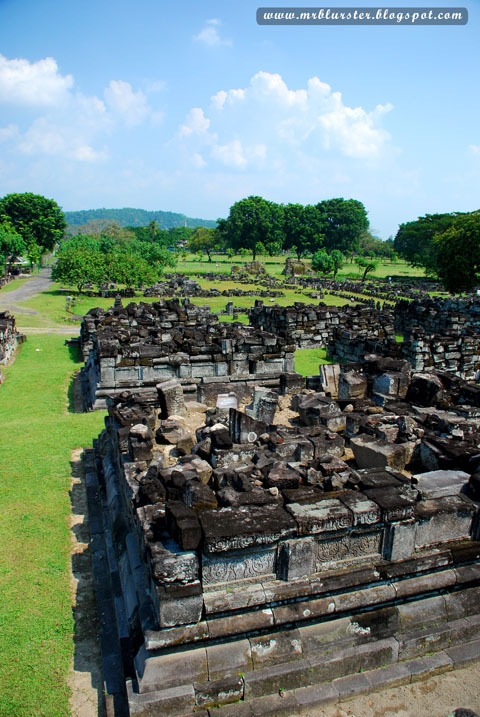 Built around the beginning of the 9th century by the Syailendra Dynasty. 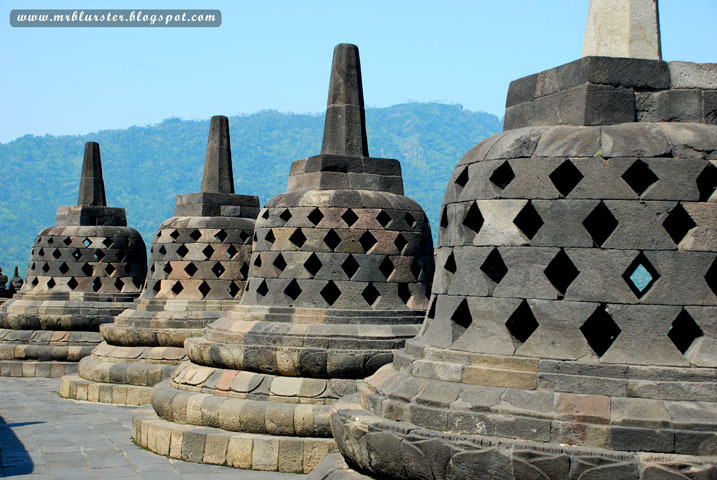 Borobudur is 42 m in height and has 10 terraces (10 levels). 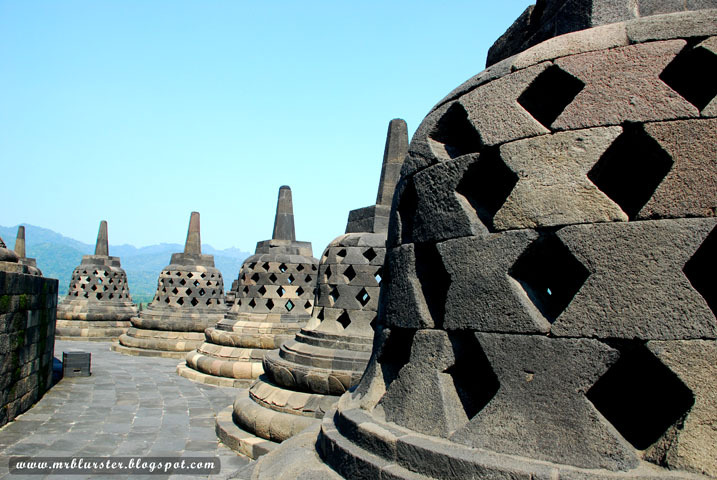 The three top levels are circular where Buddhist stupas are placed and the seven others are square on which the reliefs of Buddha Gautama's life and love are carved. 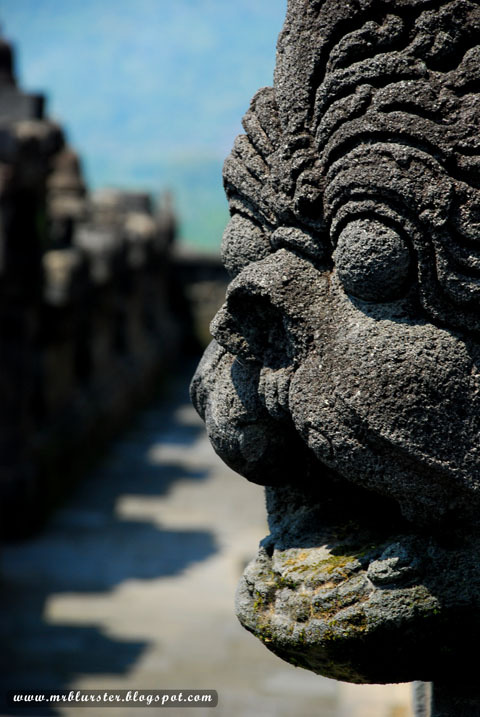 Without wasting any time, we explore every inch of the temple and took some of the photo. The front view of the temple. 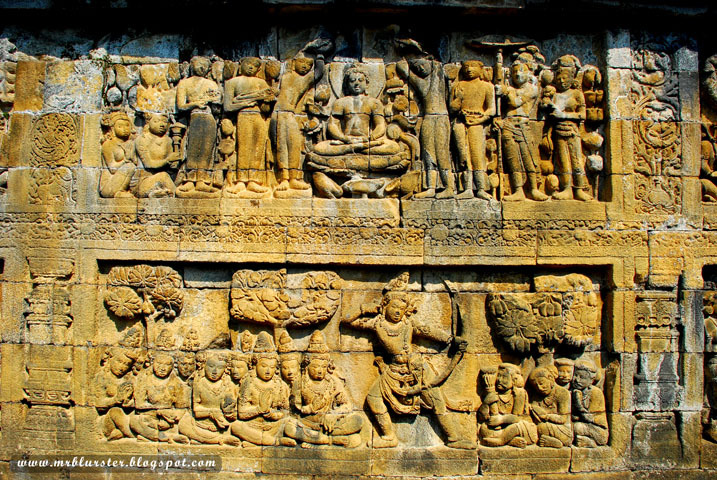 The stone carving of the temple that represent the story of Buddha. One of the Buddha stupas at the temple. I do not know how to describe that and I will just call that small pagoda. 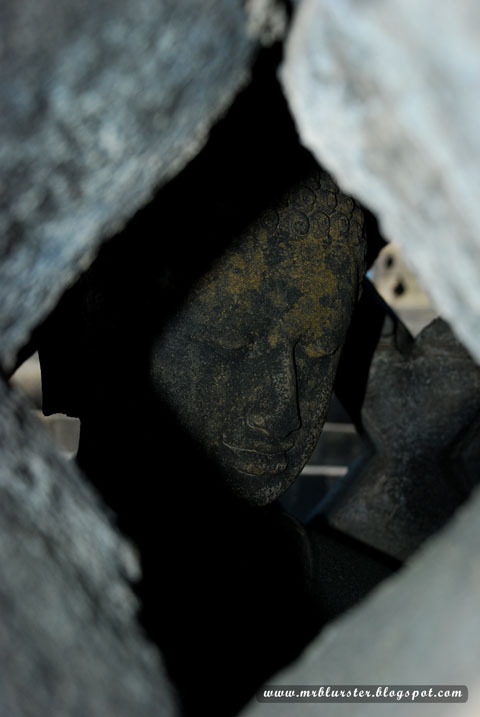 Inside every small pagoda, there is a Buddha stupa inside. The Buddha stupa inside the pagoda. 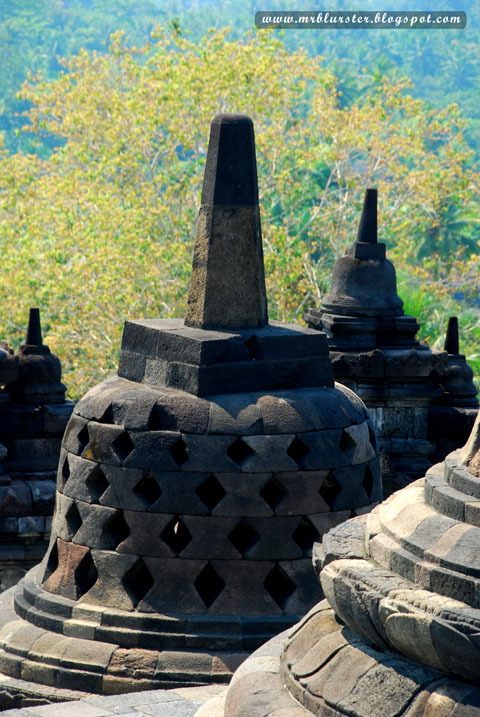 Great piece of art and architectural display at Borobudur temple. 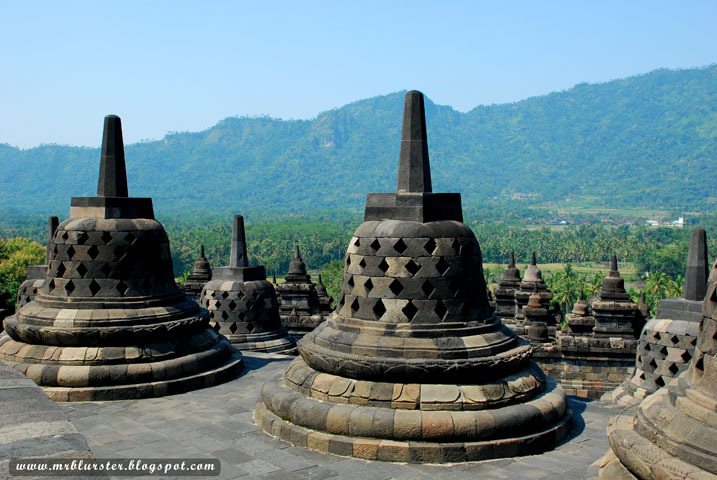 More and more Buddha stupas, small pagodas and also great view. 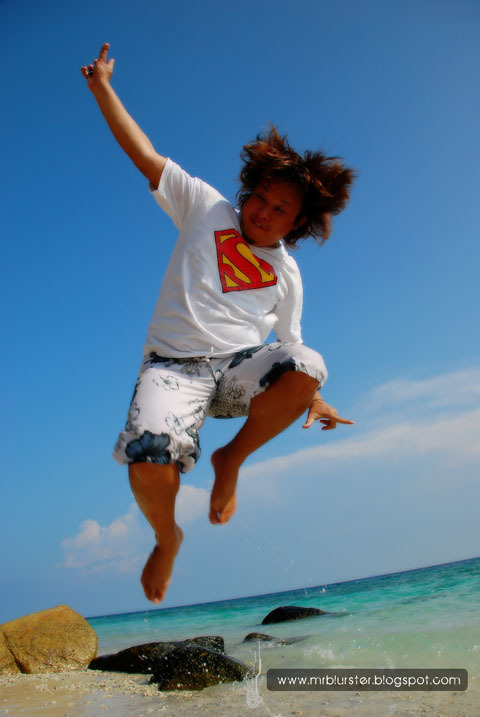 For more photo, you can click HERE. 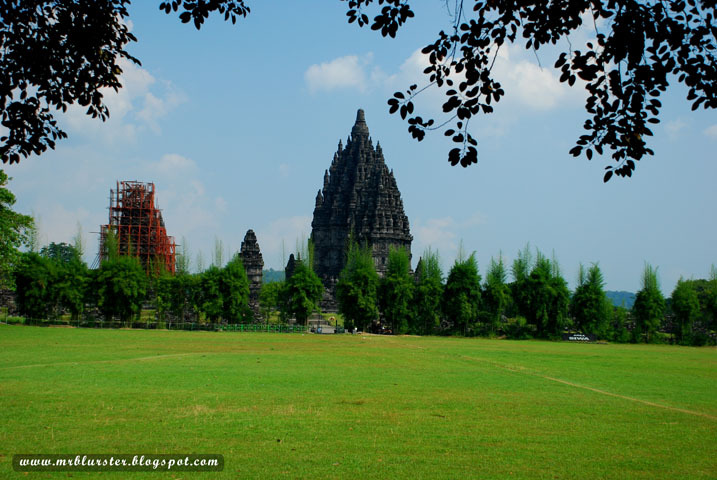 Will cover more on next post about Prambanan temple which is the Hindu temple. 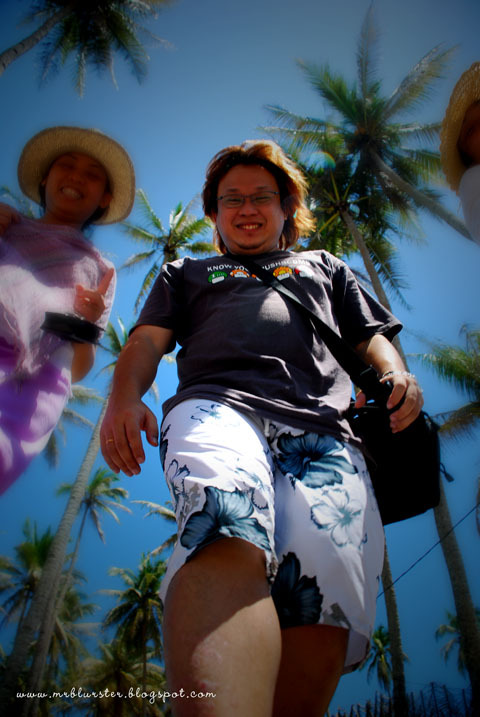 Traveling is always fun when you went with one bunch of friends who can joke and crazy around. There come MQ, Xiao Fu and Douglas who always be good companion for travel together. MQ enjoying walking along the beach. 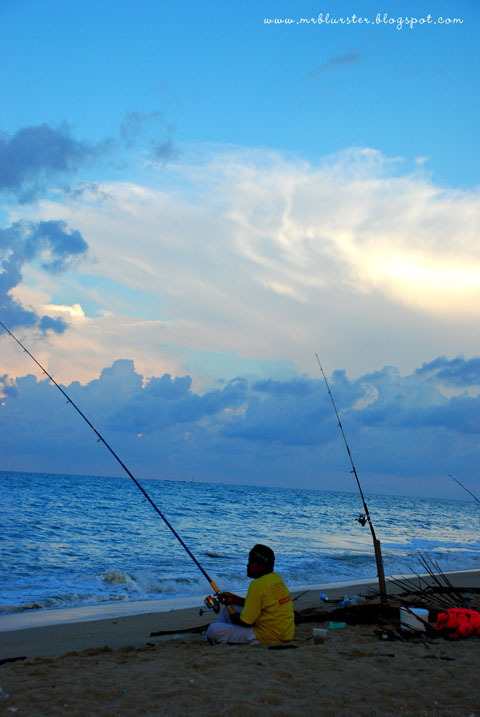 How good if in future my backyard was a horizon of large blue sea where I can just fish like that kid when I am free. 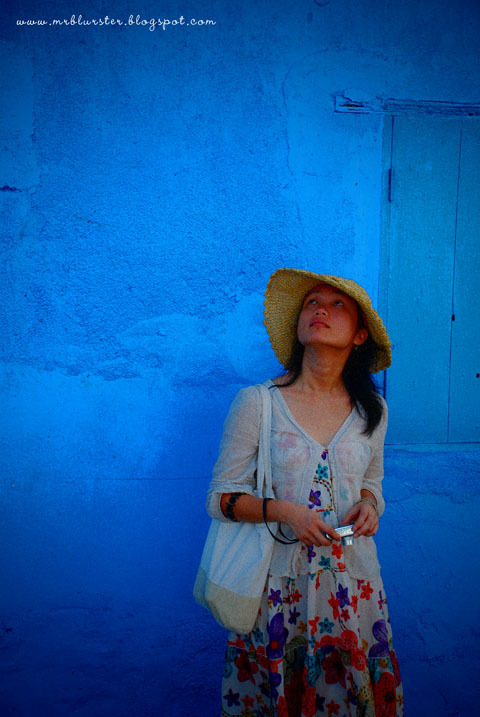 Xiao Fu posing in front of the blues wall at Kuala Terengganu town. MQ practicing yoga out of nowhere? 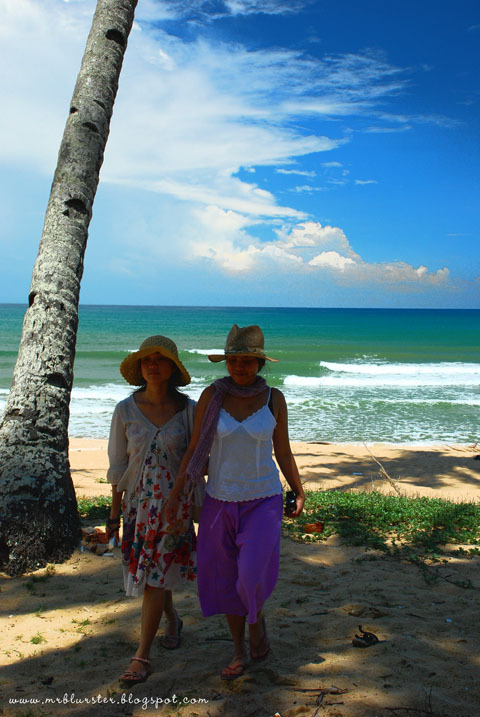 MQ and Xiao Fu enjoying the walk together. One of Douglas's mystery resolved? 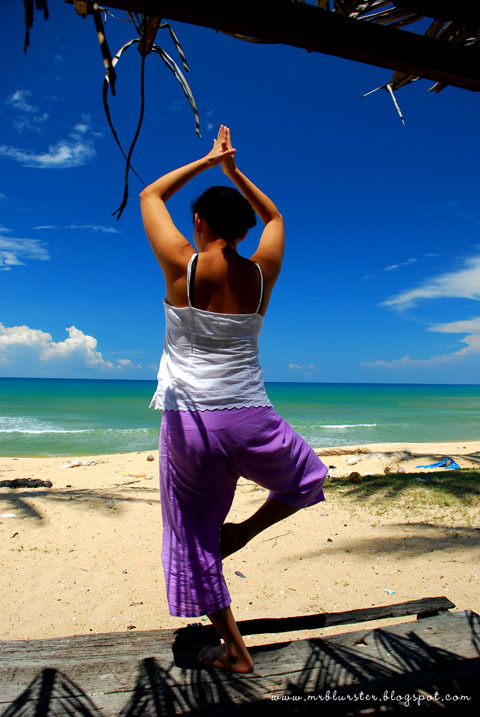 Definitely a nice place for yoga with sea as front view. 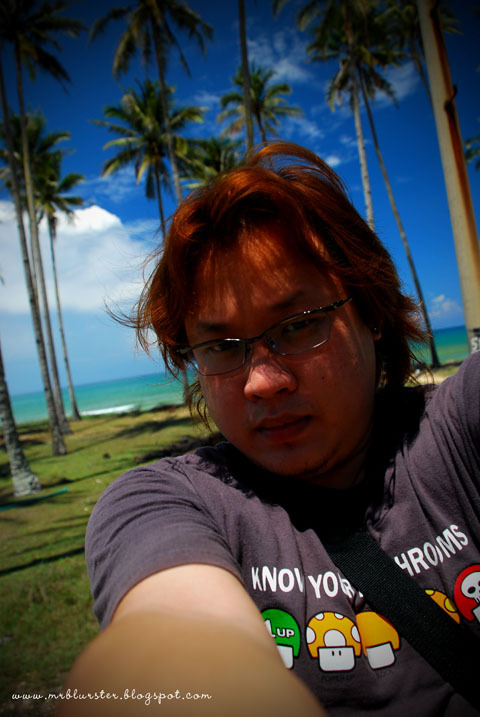 Self taken. A bit gayish. Damn! Me with big tummy of mine! Another damn! Crazy jump to end my journey. Looking forward to my Java Trip on next Tuesday. 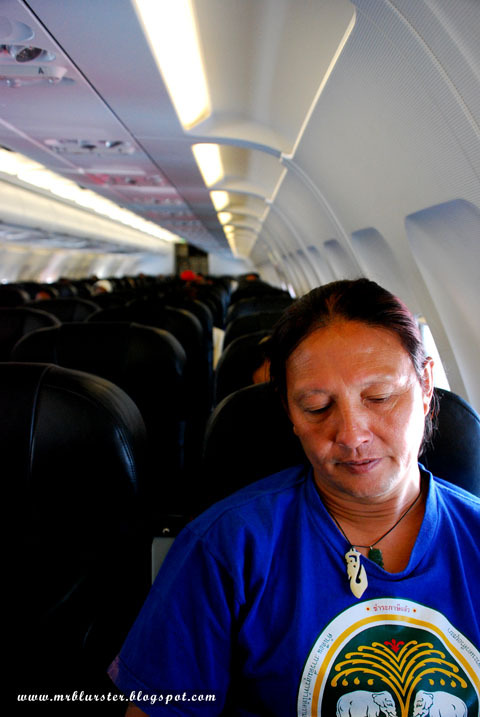 Hope to have safe and pleasant journey to Indonesia.